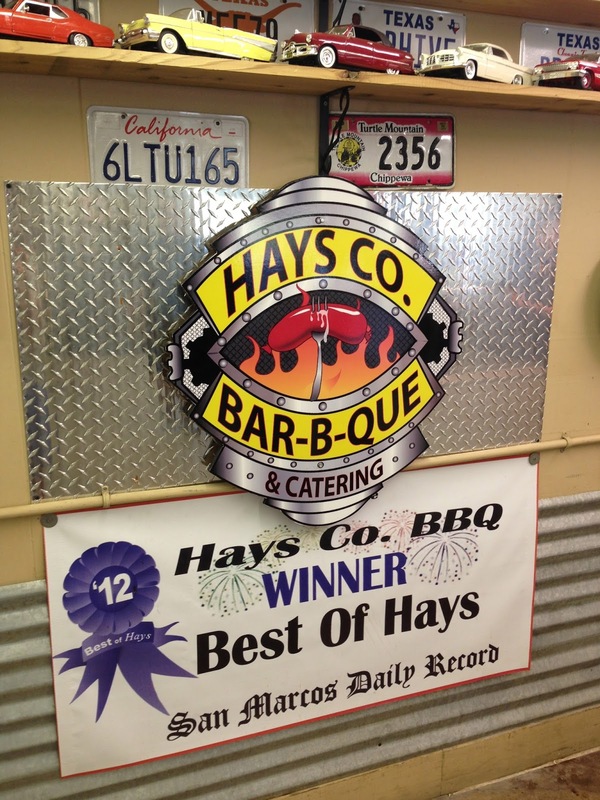 Let's plan a BBQ trip! With our 4th annual Gettin' Sauced! behind us, we have some time to start planning our next Texas Q Tours trip. We're itching to hit the road! So, help us brainstorm ideas. Where should we go for our next tour? What places do you want to visit? Let us know! A round of thanks for Gettin' Sauced! Without all of you, there would be no event and certainly no successful event. To all of you: Cheers! Our 4th annual Gettin' Sauced! contest/festival is TODAY at Hops & Grain Brewing. Hopefully, the weather will cooperate, and we can stay dry, while we eat BBQ, taste BBQ sauces, sip cold craft beer, listen to live local music, and check out booths. It's family-friendly. And if your dog is friendly, it's also dog-friendly. 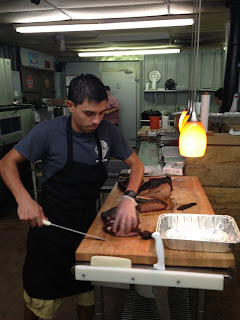 Twitter updates throughout the day from @GettinSauced & @ManUpTexasBBQ. BBQ wristbands & VIP passes available at gate. Online sales of each will end at 11AM Central. We hope to see you this afternoon! Gettin' Sauced! t-shirts for sale!!! This year's official Gettin' Sauced! t-shirt! 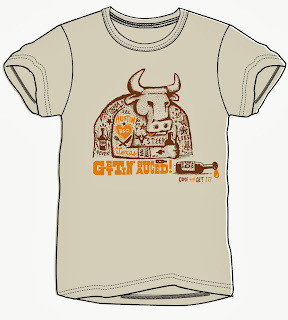 Along with this year's posters, the shirts will be available for purchase tomorrow at the festival and online afterward. To be eligible to win any of these giveaways, I need the following predictions: (1) winner, (2) final score, & (2) total combined yards [in case we need a tiebreaker]. You can submit your prediction(s) as a comment below this post, as a Facebook comment, via Twitter, or via email. All predictions must be received by kickoff of the respective game. Play ball! All-Star Sauces discount at Gettin' Sauced! All-Star Sauces is a membership program for award-/contest-winning BBQ sauces. Six shipments per year. Two bottles of sauce per shipment. 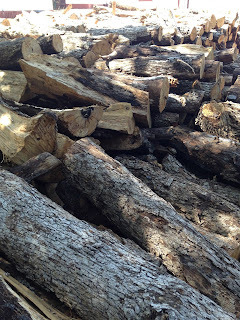 Three membership plans available (1 shipment, 3 shipments, 6 shipments). All-Star Sauces is also one of the sponsors of our Gettin' Sauced! 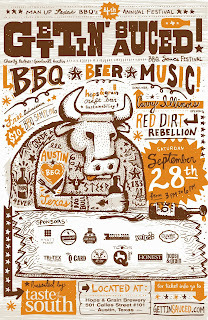 festival, which is THIS SATURDAY from 3-6 at Hops & Grain Brewing in Austin. Another cool thing to note is that the Gettin' Sauced! contest winners (Bottled & People's choice) will be eligible for All-Star Sauces! We can't wait to see which sauces might end up in the All-Star Sauces lineup! Anyway, we would love for you to get an All-Star Sauces membership, & we want to make it easier for you to do so. So, on Saturday, you can stop by the All-Star Sauces booth & get 10% OFF any membership. Whether you want the single shipment (1 shipment), the half year (3 shipments), or the full year (6 shipments), we'll knock of 10% off whatever you purchase! Our 4th annual Gettin' Sauced! 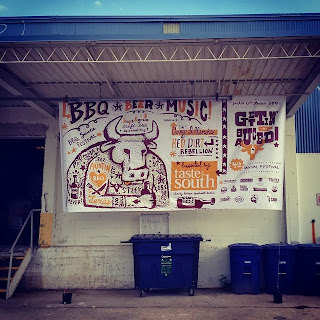 BBQ-sauce contest/festival is THIS SATURDAY at Hops & Grain Brewing in Austin! VIP entry is at 2:30 PM, general entry is at 3, & the event runs until 6. There is NO COST to enter, enjoy some cold drinks, listen to the live music, etc. But if you want to taste your way through the BBQ Corridor (booths serving BBQ and/or BBQ sauces), you have to have a BBQ wristband. Wristbands are $8 online, $10 at gate. VIP entry (30 minutes before the general entry), which loads of goodies valued far more than the VIP price ($25). Speaking of VIP, I'm giving away a pair of VIP tickets! You have until NOON FRIDAY to enter our name in the drawing. There are 4 ways to enter (and you can get your name in 2/3 times if you do 2/3): email us, leave a comment below this post, &/or tweet @GettinSauced. Whether you enter 1 way or all 3, make sure we have a way to contact you if you win. We'll cut off the entries at NOON FRIDAY, draw a name early Friday afternoon, & announce the winner of the 2 VIP tickets Friday afternoon/evening! Music lineup for Gettin' Sauced! Both acts are from Austin, so come enjoy some local live music! Our 4th annual Gettin' Sauced! 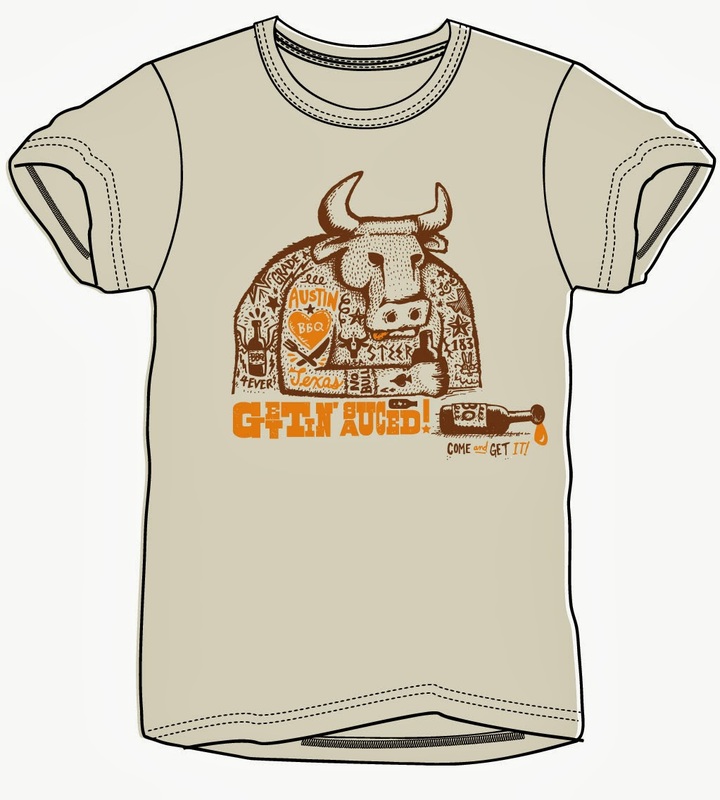 is this Saturday (3-6 PM at Hops & Grain Brewing), so to kick off the week, we're unveiling the official Gettin' Sauced! poster! This year's poster was designed by our good buddy Rich Koehler, & we couldn't be more pleased with the job he did. Big, screen-printed copies of the poster will be available for sale at the festival and online (And you can purchase previous festivals' posters online.). Thank you, Rich! Tomorrow, the Dallas Cowboys host the St. Louis Rams. The winner of this Gameday Giveaway will get 2 links of sausage at Lockhart Smokehouse! To be eligible to win, I need the following predictions: (1) winner, (2) final score, & (2) total combined yards [in case we need a tiebreaker]. You can submit your prediction as a comment below this post, as a Facebook comment, via Twitter, or via email. Your prediction must be received by kickoff (tomorrow, noon Central). Good luck! Sunday, the Houston Texans head to Baltimore to play the Ravens. 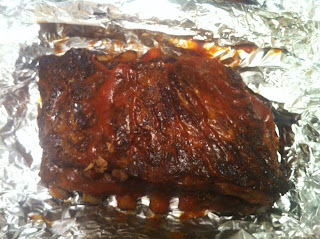 A slab of Pizzitola's pork ribs is the prize for our closest prediction. To be eligible to win, I need the following predictions: (1) winner, (2) final score, & (2) total combined yards [in case we need a tiebreaker]. You can submit your prediction as a comment below this post, as a Facebook comment, via Twitter, or via email. Your prediction must be received by kickoff (Sunday, noon Central). Good luck! 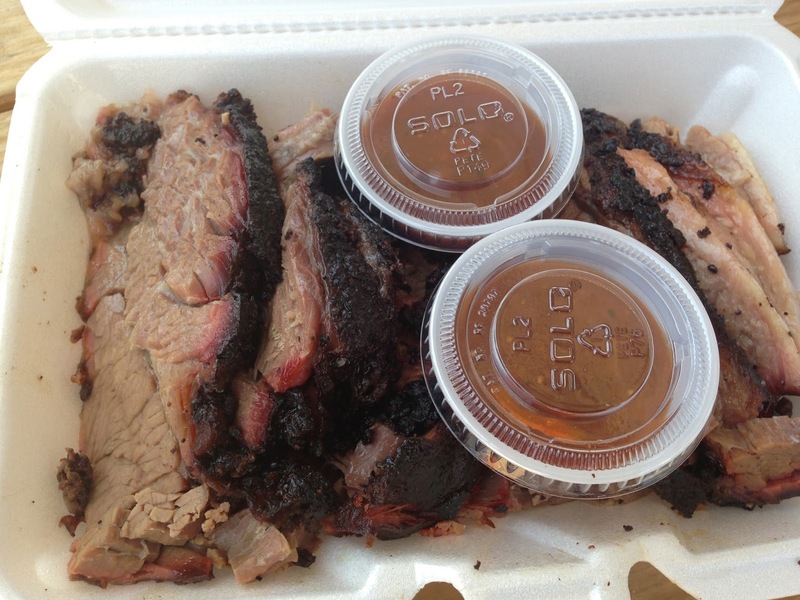 It's Week 4 of our Gameday Giveaway from Austin's la Barbecue! This week's game is Texas State at Texas Tech (Saturday, 6PM Central). To be eligible to win, I need the following predictions: (1) winner, (2) final score, & (2) total combined yards [in case we need a tiebreaker]. You can submit your prediction as a comment below this post, as a Facebook comment, via Twitter, or via email. All predictions must be received by kickoff. Good luck! 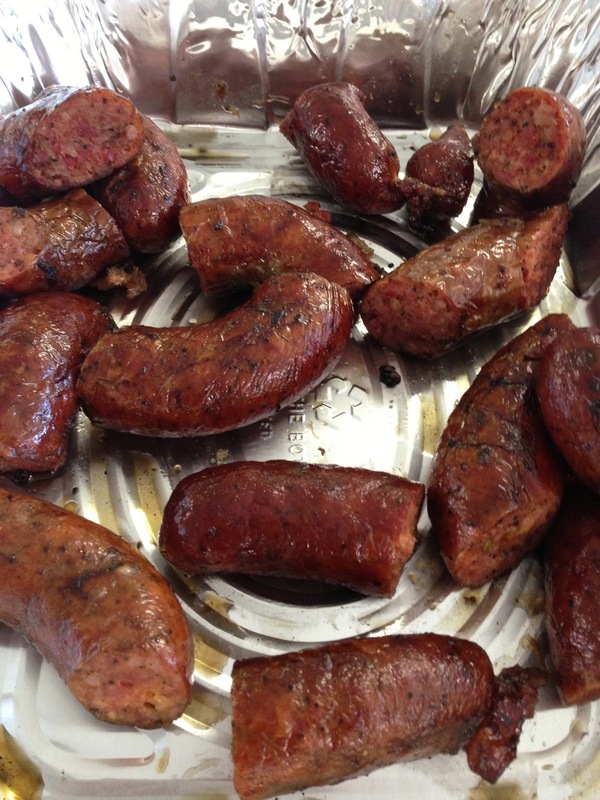 Which Texas BBQ joint serves the best jalapeno-cheese sausage? Tomorrow at noon, both of Texas' pro-football teams hit the field for Week 2 showdowns. Dallas heads to Kansas City. Houston hosts Tennessee. As we did last week, we have a couple of BBQ giveaways for you: Two links of Lockhart Smokehouse sausage for the winner of the Dallas giveaway, & a slab of Pizzitola's pork ribs for the Houston winner. To be eligible to win either/both, I need the following predictions: (1) winner, (2) final score, & (2) total combined yards [in case we need a tiebreaker]. You can submit your prediction(s) as a comment below this post, as a Facebook comment, via Twitter, or via email. All predictions must be received by kickoff. Play ball! Week 3 of our Gameday Giveaway from Austin's la Barbecue! This week's game is Ole Miss at Texas (Saturday, 7PM Central). To be eligible to win, I need the following predictions: (1) winner, (2) final score, & (2) total combined yards [in case we need a tiebreaker]. You can submit your prediction as a comment below this post, as a Facebook comment, via Twitter, or via email. All predictions must be received by kickoff. Good luck! Earlier this week, while on vacation in Myrtle Beach, SC, Man Upper Bo stopped into Big KT's BBQ Shack. 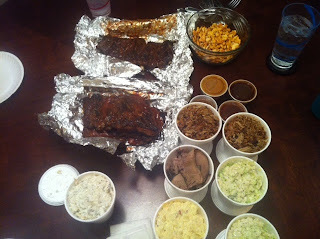 On his table: pulled pork, St. Louis pork ribs, brisket, & sides. Kerlin BBQ is now open for business at 1700 E. Cesar Chavez in Austin, TX. 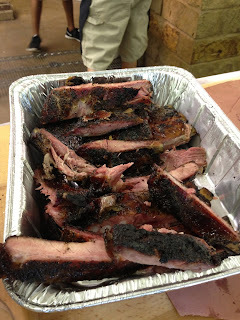 Smoked with pecan wood, Kerlin serves Angus brisket, pork spare ribs, pork shoulder, sausage, & shopped beef. House-made blue cheese slaw, house-made pickles, & sweet and sour jalapenos. Open Thursday thru Sunday from 11-3 (or until sold out). Free beer on the weekends. 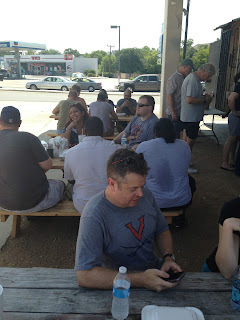 Connect with Kerlin BBQ via Facebook & Twitter. 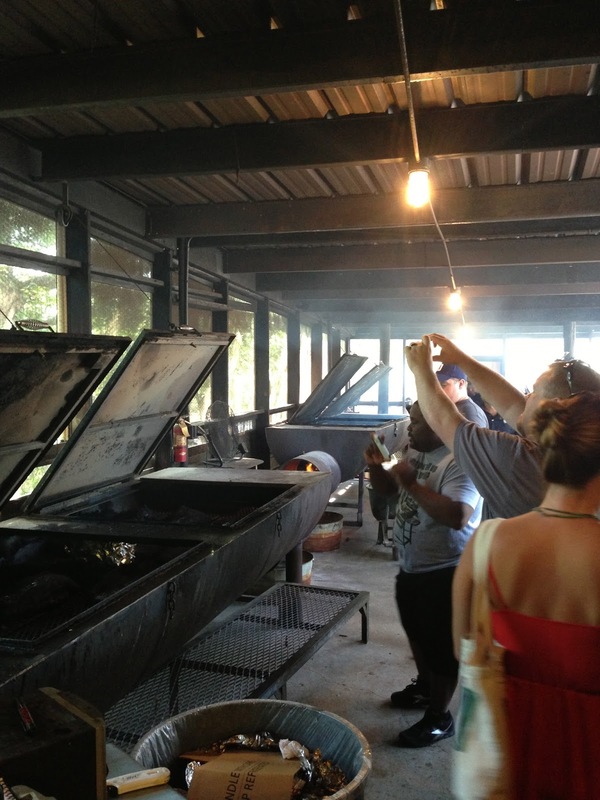 A while back, I announced that Schmidt Family Barbecue is going to open up shop in Bee Cave. It took some time for them to work out their location, but they're good to go now. And they're hiring for all positions. To apply, head to their website, & stay updated via Twitter & Facebook! We're excited to announce our THIRD Gameday Giveaway of the weekend! For each Houston Texans game, our giveaway winner nabs a slab or pork ribs from Pizzitola's BBQ. The Texans' first game is tomorrow night against the San Diego Chargers. To be eligible to win, I need the following predictions: (1) winner, (2) final score, & (2) total combined yards [in case we need a tiebreaker]. You can submit your prediction as a comment below this post, as a Facebook comment, via Twitter, or via email. All predictions must be received by kickoff (9:15 PM Central). Good luck, & huge thanks to PIzzitola's! We're in Week 2 of our college-football Gameday Giveaway from la Barbecue, & now it's time to kick off Week 1 of our two pro-football Gameday Giveaways! For each Dallas Cowboys game, our giveaway winner snags 2 links of sausage from Lockhart Smokehouse. The Cowboys take the field tomorrow night against the New York Giants. To be eligible to win, I need the following predictions: (1) winner, (2) final score, & (2) total combined yards [in case we need a tiebreaker]. You can submit your prediction as a comment below this post, as a Facebook comment, via Twitter, or via email. All predictions must be received by kickoff (7:30 PM Central). Good luck, & all thanks to Lockhart Smokehouse! 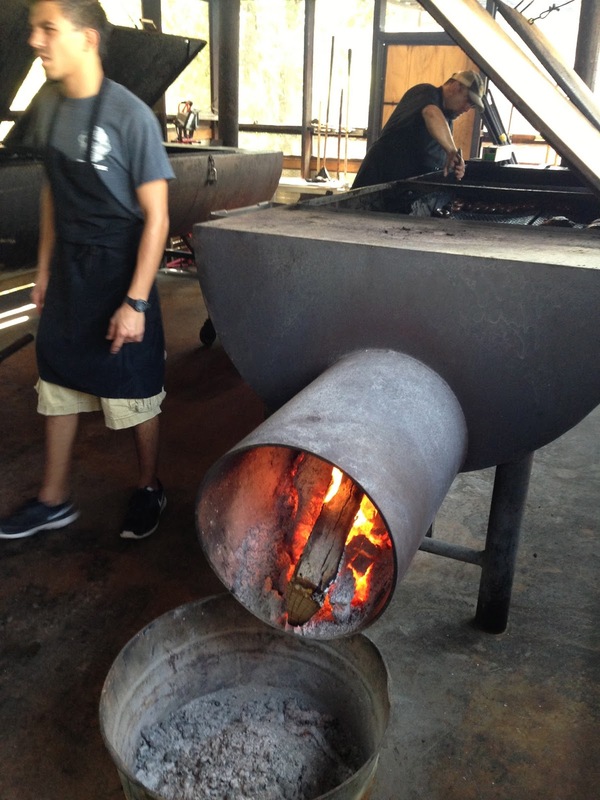 It's Week 2 of the college-football season, so that means it's Week 2 of our Gameday Giveaway from Austin's la Barbecue! This week's game is Sam Houston State at Texas A&M (Saturday, 6PM Central). To be eligible to win, I need the following predictions: (1) winner, (2) final score, & (2) total combined yards [in case we need a tiebreaker]. You can submit your prediction as a comment below this post, as a Facebook comment, via Twitter, or via email. All predictions must be received by kickoff. Aaaaaaand go! A (football) season of BBQ giveaways!!! 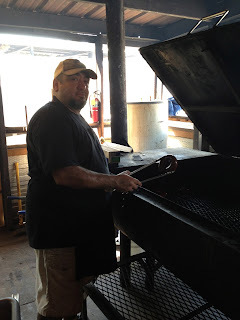 Last Friday, I announced the first of weekly BBQ giveaways for the college-football season. 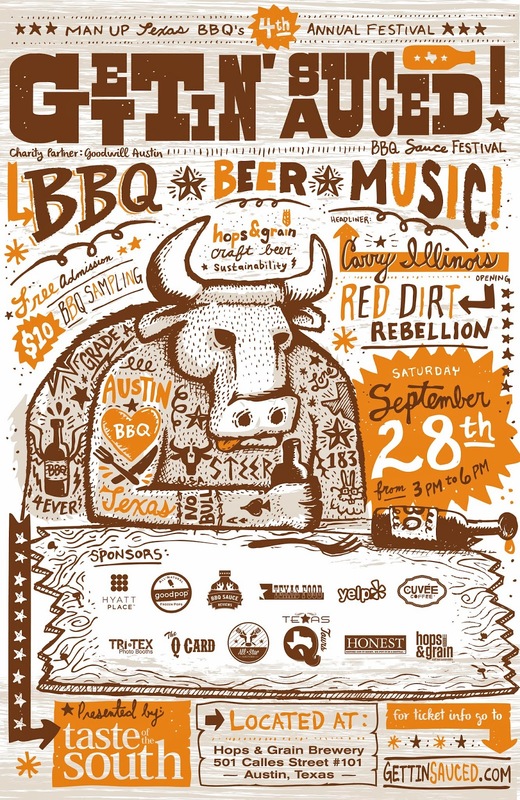 Austin's very own la Barbecue has been gracious enough to be our partner for the season-long promotion. Each week, I pick one college game, readers submit final-score predictions (winner, final score, & total yards for both teams [for tiebreak purposes]), & the lone winner gets some free food from la Barbecue! Today, I sweeten the pot. For the NFL season, and all thanks to generous BBQ joints in Dallas & Houston (See below. ), I'll be holding the same promotion for each Cowboys game & eat Texans game! So, three ways to win most weeks (No giveaway for bye weeks.). Stay tuned for this weekend's 3 giveaways!!! TOMORROW: College giveaway announced. SATURDAY: Cowboys giveaway announced. SUNDAY: Texans giveaway announced. 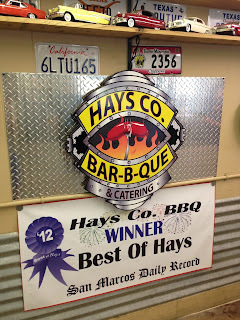 The first stop of our most recent public Texas Q Tours trip was Hays County Bar-B-Que (San Marcos, TX). 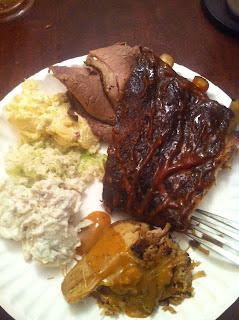 Family-style brisket, pork ribs, & 2 kinds of sausage (regular & jalapeno-cheese). I snagged myself a half chicken. 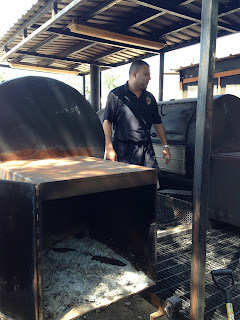 A couple of months ago, I announced the opening of Blanco BBQ, on Blanco Road in North San Antonio. Now, I announce the soon-to-be-opened Choke Canyon Bar-B-Q, just a few miles north of Blanco BBQ on Blanco Road. From what I can tell (Please correct me if I'm wrong. ), this is the 2nd location of Choke Canyon Bar-B-Q. The first location is in Whitsett, TX. 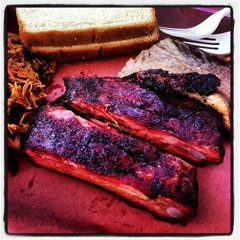 If anyone has (1) been to Blanco BBQ and/or (2) has any additional information on Choke Canyon Bar-B-Q, send it our way! I pause today to thank all of the people who give us the Texas BBQ we eat, talk about, write about, take pictures of. 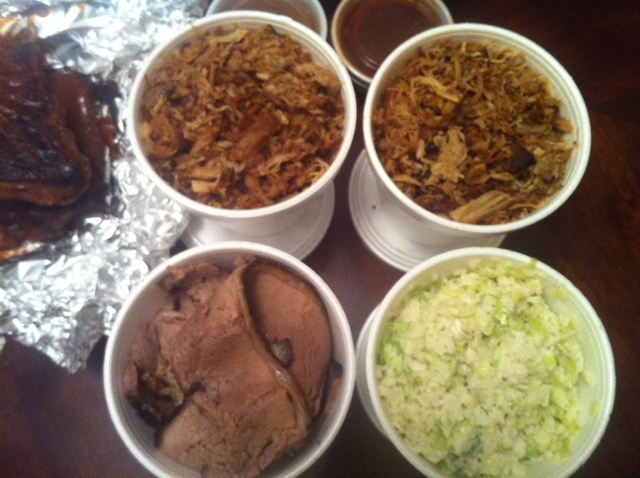 We show up at BBQ joints, order, & eat. No work required. But work is definitely required to get the food to our plates, particularly at the joints that don't mechanize the cooking. 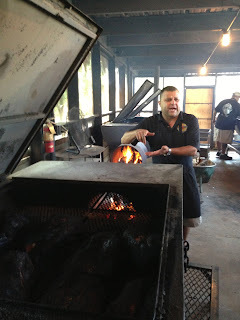 If you've spent time with a pitmaster, you have an idea of how much time and energy and sweat goes into cooking BBQ in a pit/smoker. Eyes stinging from the smoke. Temperatures far above the already triple-digit temps outside of the pits. Clothes soaked in sweat and saturated with smoke. Day in. Day out. It's exhausting. It's not for the weak. 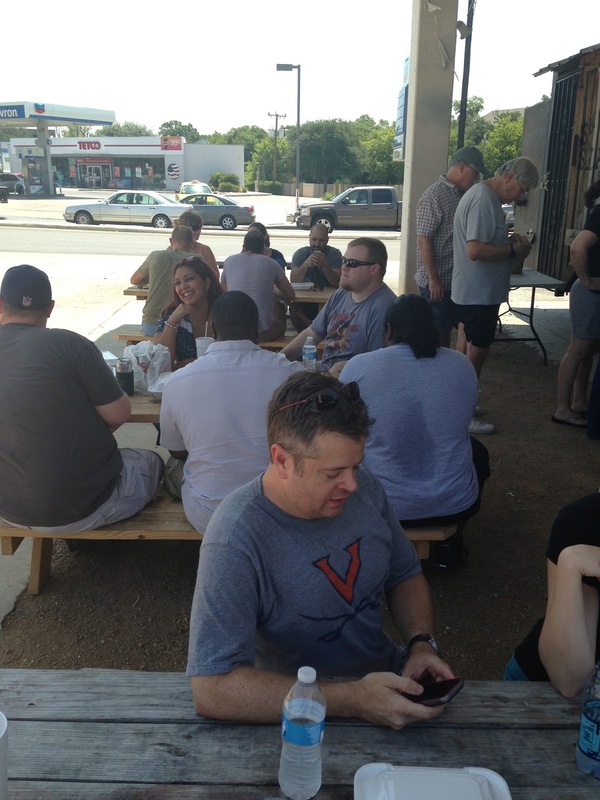 To all of them & to everyone else who works at Texas BBQ joints: Thank you. Thank you for your hard work & dedication. We appreciate it so much. On this Labor Day, cheers to you. 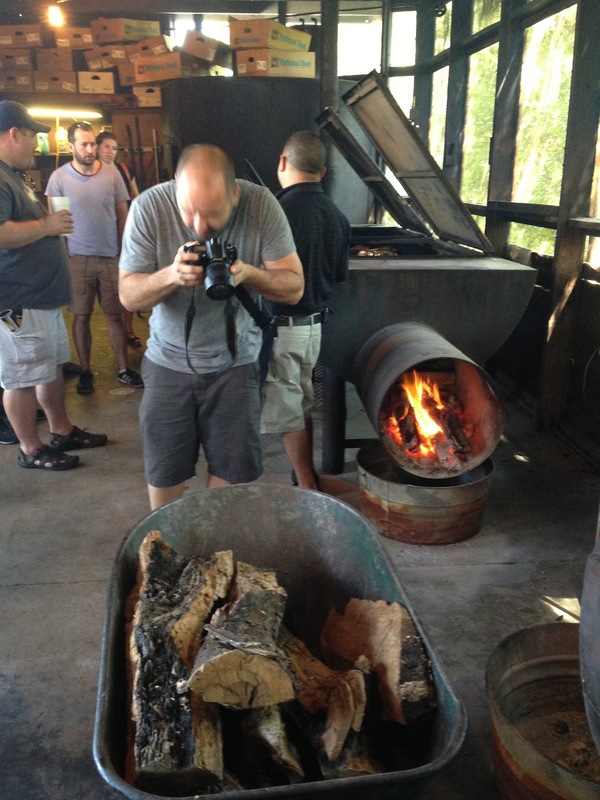 What's the best Texas BBQ photo subject? 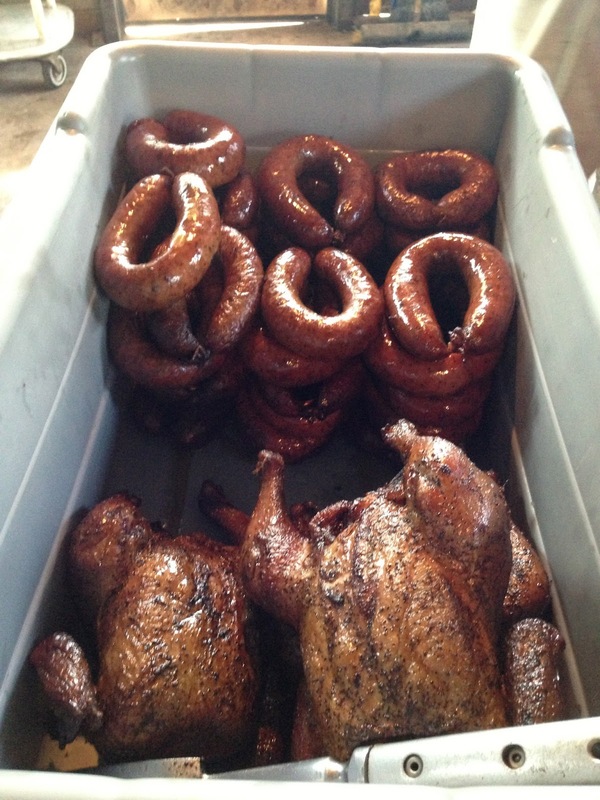 There are so many amazing Texas BBQ photos in circulation. Given the number of BBQ joints, the number of smokers/pits, the number of sweaty, dirty, smoky pitmasters, the number of pork ribs and beef ribs and sausage rings and briskets in Texas, there is no shortage of material for photographers, wanna-be photographers, or anyone with a camera. I don't know how you even begin to do this, but I'm asking anyway: What's the best BBQ-shot/picture subject in all of Texas? To be clear, I mean a picture subject, a picture that could be taken, not a specific picture that has already been taken. I'm not asking you to point me to your favorite BBQ picture. I want to know what you think is the best thing/person to photograph. Maybe it's a specific menu item at a certain BBQ joint. 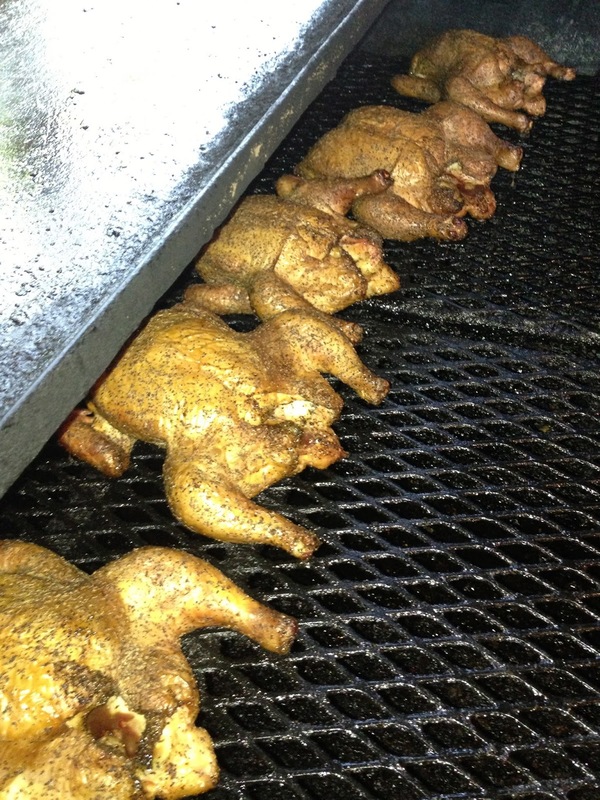 Maybe it's the pit/smoker at a certain BBQ joint? Maybe it's a certain pitmaster/proprietor. 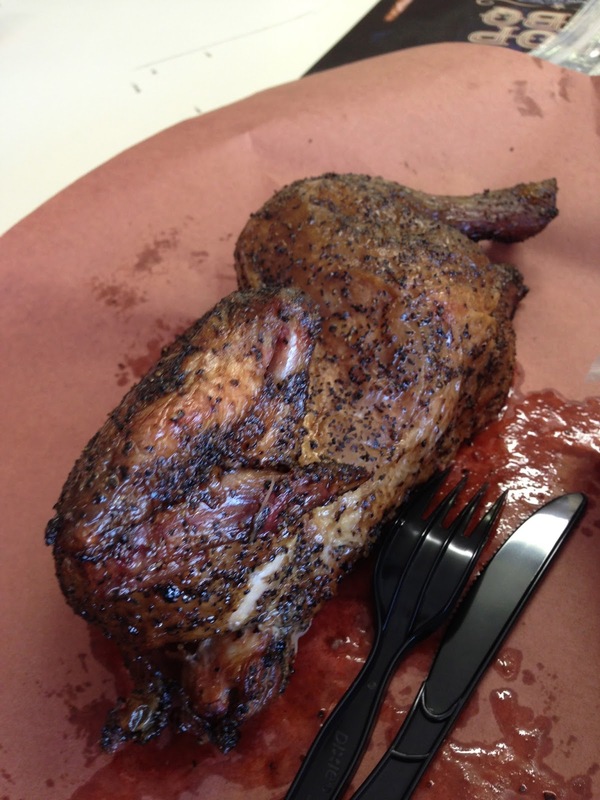 If someone came to Texas and visited every single BBQ joint, what's "the money shot" you would tell them to take above all else?